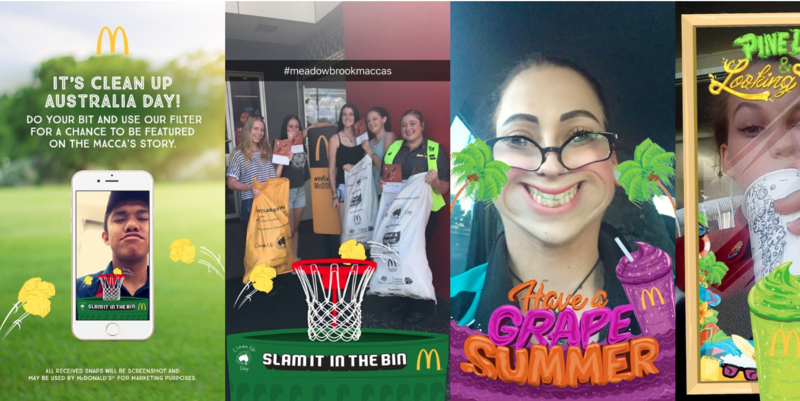 Since Snapchat Ads launched in Australia early 2016, McDonald's have executed a number of paid campaigns such as Filters, supported heavily by organic content such as UGC. As well as the recent stand-out recruiting campaign and product-specific marketing Filters, McDonald's frequently uses Filters that are easily incorporated into everyday life or support local initiatives. Alongside this, McDonald's asks their followers to send in their snaps for the chance to be featured live on their Story. This is a great incentive for brand supporters who love the feeling of being featured on such a recognizable brand's Snapchat Story. This week, 20th Century Fox NZ paired an unlockable Filter and Lens with user-generated content to launch their latest film, Alien. 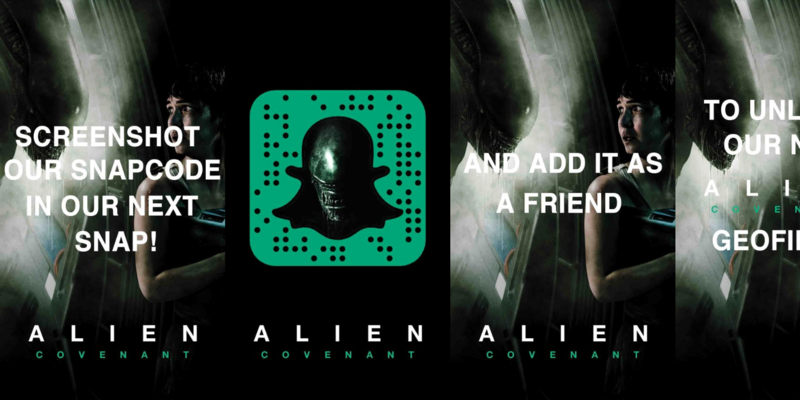 This campaign included a nationwide Geofilter to get the message out; then a unique Snapcode on their channel which unlocked an exclusive Alien Lens. Select user-generated content was then re-posted to the fox_nz Story. In addition to being New Zealand's first paid Lens, the campaign is noteworthy for its simple yet impactful use of paid and organic media. 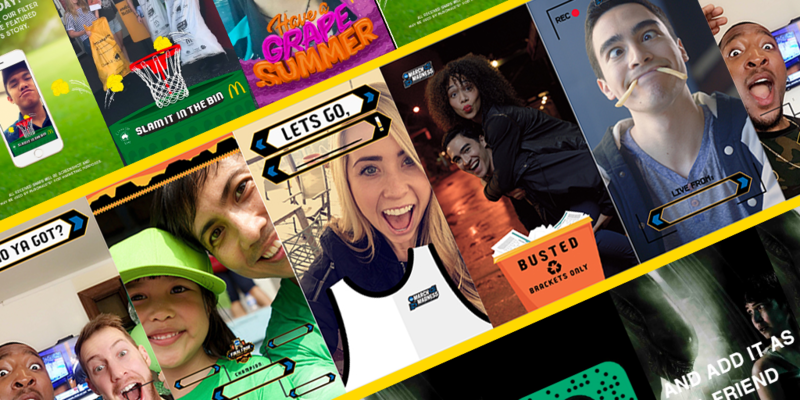 Snapchat success is often at the nexus of those two worlds, with Ad products assisting in generating reach, and re-posting UGC boosting engagement & giving marketing efforts more longevity. Another winning combo of paid Snapchat products and organic content was seen in this year's College Basketball campaign by Turner Media, NCAA & Capitol One. Partnering with Snap, Turner created more than 30 Our Stories (previously known as Live Stories) showcasing campus Snaps and on-court action across the US. Along with 30 featured Stories, they ran a back-to-back sponsored Lens as well as full-screen Snap ads within Our Stories. TV promos topped of the efforts, showing Snapcodes that unlocked unique filters and incentivised adding Snapchat accounts. Given that Snapchat scores a top three ranking in University students’ favourite apps, this media strategy is one of the most sophisticated yet.